In the 1890s, these unnamed men from Montague County, Texas posed for a photograph after filing claims against the U.S. government for suffering Indian depredations. (University of Texas at Arlington Special Collections). Since the southern Plains Indians were supposed to be under government supervision inside the post-Civil War reservations, any Indian activity (war, ambush, horse taking, hunting) was viewed as criminal, even if an ambush or attack was instigated by the settlers. American settlers thus could file claims against the reservations via the Bureau of Indian Affairs to recoup their losses. The monies were deducted from tribal annuities. Check out the man in the middle (I don’t know his name). He must have suffered incredibly… though I’m not sure if the injury was from a depredation or from an attack or even from an unrelated calamity (Civil War, maybe). In doing my master’s thesis research, I encountered Charles Goodnight’s depredations claims. His Palo Duro Canyon ranch was part of the Kiowa and Comanche lands that he received from Texas after his Ranger activity along the Texas/ Comancheria frontier during the Civil War. He used the money from the claims against the tribes to build up his livestock, which he then sold to the Fort Sill (Comanche, Kiowa, and Apache) and Fort Supply (Cheyenne) reservations. As I tell my students, form your own conclusions about this. Montague, Parker, Clay, Palo Pinto, Jack, and Young counties reveal incredible amounts of history about the clash between Texas and the Comancheria. It’s only been pretty recent that historians have taken a serious look at this very important part of history. It’s one of the reasons the U.S. won against Mexico in 1846, and one of the reasons Texas seceded from the United States in 1861. The white men fighting along the frontier before the Civil War were cattlemen. Their wealth was on the hoof, and they used slave labor, along with paid hands, to work their capital. The Indians’s use of the land was always suspect to them – by 1859, the tribes in the Brazos Indian Reservation in Young County had been forced out of Texas. By 1876, a mere year after the end of the Red River Wars, the state of Texas refused to allow Indians to enter into Texas at all, and Indians who still lived in Texas were forbidden from owning guns. There’s a lot of history to be uncovered in group portraits. For the past few weeks, I’ve been reading S.C. Gwynne’s Empire of the Southern Moon, a bestseller that traces the history of the Comanches, particularly Quanah Parker. It’s a great read, with lots of detailed information and well-rounded research (well, except for some glaring geographical mistakes). 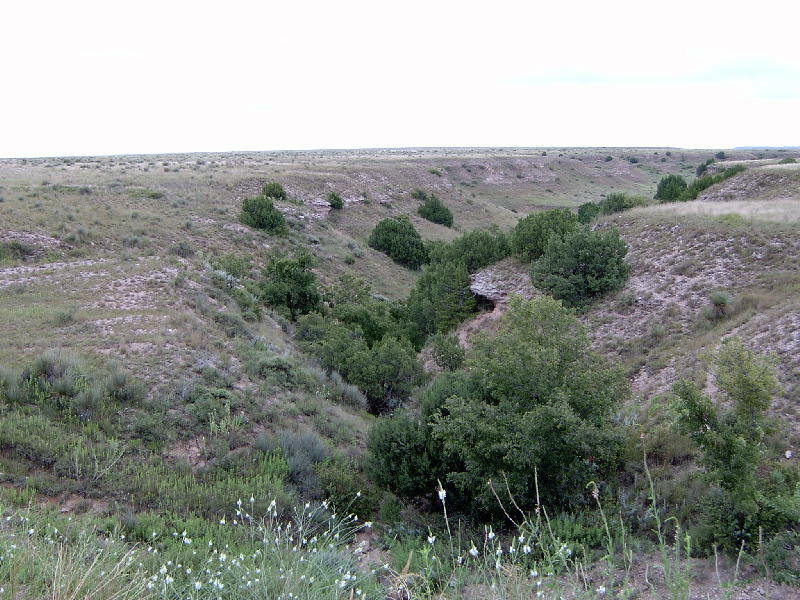 Empire of the Summer Moon describes the Comencheria, which consisted of most of northwest and western Texas. What I admire about Gwynne is that he doesn’t pull any punches. In academia, not many historians are willing to admit to the atrocities and terror perpetrated by the Comanches against white, black, and Mexican settlers; academics tend to portray the attacks as stemming from an aggressor/defender kind of relationship, with the Old World invading the New World. And of course, when one gets down to brass tacks, that’s exactly from where the animosity generated. Still, Gwynne does not shy away from noting the unprovoked brutality of the Comanches (and other Southern Plains tribes), and provides gruesome details of what happened to people taken captive as well as the fates of the hapless soldiers and warriors on the losing side. 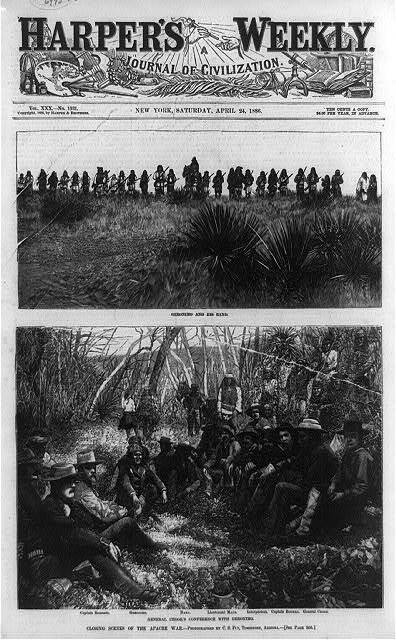 Harper’s Weekly examines Geronimo and the Apaches in 1886. Harpers’ editors tended to view Indians as “noble savages” who only needed understanding and helpful guidance to adopt the ways of the whites. This is where I find the history of Native Americans in the Red River Valley very sketchy. Tribes like the Caddos, Tonkawas, Wichitas, Kiowas, and Comanches all engaged in a very brutal warrior culture that included some severe tortures. European accounts explain how tribes roasted and/ or buried their enemy warriors alive, raped and mutilated women, and, in some instances, cannibalized their conquests. Of course, the Europeans could be just as horrendous – one just has to cite the inquisition and the entire institution of slavery for evidence, and that doesn’t even begin to recount the European inclination for gruesome public executions. Throughout the years, though, historians have tried to minimize the more “uncomfortable” aspects of Native American cultures. Many historians have painted them as “noble” or “innocent,” negating very integral parts of their society. This, of course, does Native American groups a grave disservice, as it treats them as pure victims. Instead, Indians were formidable adversaries of the whites, blacks, and Mexican settlers: pretty much every major American conflict until the Spanish-American War at least partially focused on the hostile interactions between non-Indians and Indians. That’s what I really like about Empire of the Summer Moon: Gwynne treats the Southern Plains tribes as real adversaries, not simple roadblocks to progress. His ability to be frank and non-flinching is a refreshing way to view the American West.